People say two is better than one and we have the light to prove it! 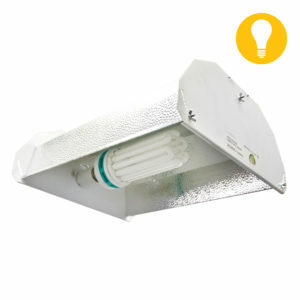 DL Wholesale’s dual 630W ceramic metal halide fixture brings you the best of high intensity lighting and efficiency in one! This horizontally mounted dual CMH provides much higher amounts of plant loving UV and spectrum, helping to make your next grow the best it can be! 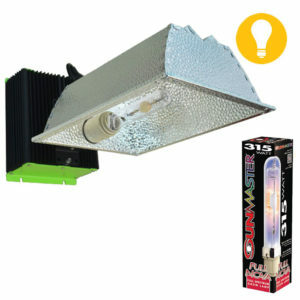 These fixtures are great for ALL STAGES of the grow cycle. While MH bulbs are traditionally used throughout the plants vegetative stage, the increased far red spectrums of the CMH 630 makes it a great light for flowering and supplemental greenhouse lighting. 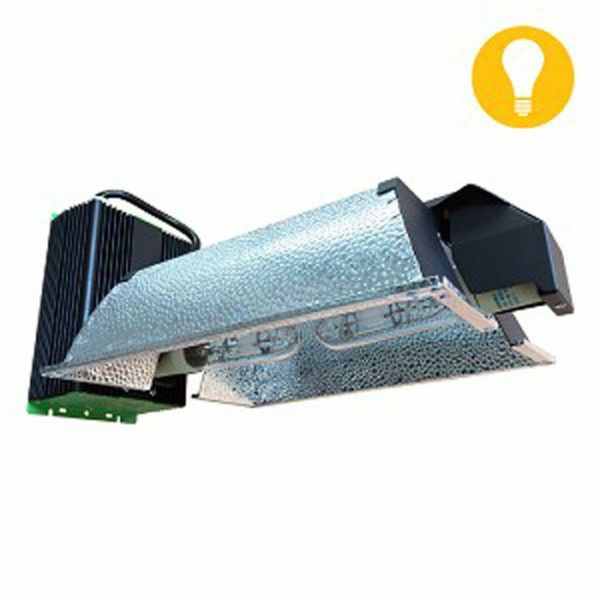 Running at just 630 watts, ceramic metal halides provide an ample amount of light with a much lower heat footprint VS. traditional grow room fixtures! Reducing energy consumption is great for the planet and your pocket. The CMH 630 draws 5.2A at 120V and 2.6A at 240V. Grow like a pro. 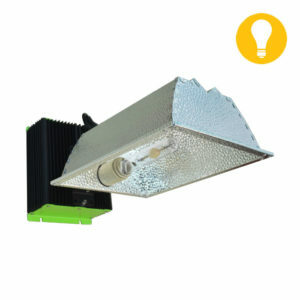 These fixtures are great for commercial sized operations all the way down to your starter garden at home. 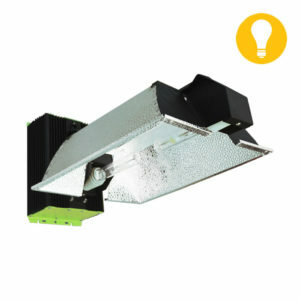 This fixture fits all PGZX18 base ceramic metal halide lamps. Try one out today and see the true power of DL Wholesale’s CMH 630 for yourself!